The ICOMP 2011 12th Annual International Conference on Internet Computing is one of leading conferences that explores the latest advances in the field of technology. OIT professor and dean Dr. Ching-Cheng Lee’s research was recently published by the organization for its focus on social networking. Dr. Lee’s paper was entitled “An Object-Centered Approach to Social Networking" and proposes an effective approach to find social network service users' interests and suggest friends by implementing object-based features in a social networking application. The idea came out from current problems in social networking. “Most social networking websites lack in connecting people over common activities or interests. Users often befriend other users with the objective to swap profiles and increase their friend list,” wrote Lee. the users’ interest and suggests potential friends. As soon as the user enters more blogs, it tags the system and updates the friend ‘s suggestion list. The experiment measurements show that the success rate of the system in determined by the interest of the user. The experiment also measured ease and quickness in searching for other users who share similar interests in suggesting potential friendship. The system proved 100% efficient in finding a users’ interest and suggesting friends based on his/her interest during each browser session. It also updates the friend suggestion list as soon as any new blog or file is entered into the system. A manual search for friends with similar interests is not required. Friendships established by manual search may or may not lead to meaningful connection since the interest level of users in an activity cannot be determined beforehand. The system is efficient in automatically suggesting friends to a user based on his/her interest. 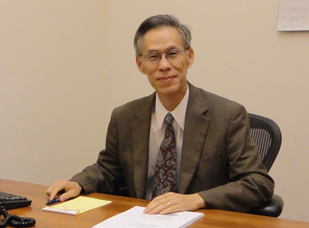 Dr. Lee is a member of the review board of Journal of Systemics and Cybernetics and Journal the Franklin Institute since 2007. He is an associate editor of Journal of Computer Science, Informatics and Electrical Engineering, Scientific Journals International. He is a review board of Transactions on Systems, Man, and Cybernetics, Part A Systems and Humans. ICOMP 2011 was composed of research presentations, keynote lectures, invited presentations, tutorials, panel discussions, and poster presentations. In recent past, keynote/tutorial/panel speakers have included: Prof. David A. Patterson (pioneer/ architecture, U. of California, Berkeley), Dr. K. Eric Drexler (known as Father of Nanotechnology), Prof. John H. Holland (known as Father of Genetic Algorithms; U. of Michigan), Prof. Ian Foster (known as Father of Grid Computing; U. of Chicago & ANL), Prof. Barry Vercoe (Founding member of MIT Media Lab, MIT), Prof. John Koza (known as Father of Genetic Programming, Stanford U. ), Prof. Jun Liu (Broad Institute of MIT & Harvard U. ), Prof. Lotfi A. Zadeh (Father of Fuzzy Logic), Dr. Firouz Naderi (Head, NASA Mars Exploration Program/2000-2005 and Associate Director, Project Formulation & Strategy, Jet Propulsion Lab, CalTech/NASA), and many other distinguished speakers.